This month's podcast discussion features Cove members Millenia and Roberta discussing the January 2016 Cove pick, A SONG FOR ISSY BRADLEY by Carys Bray—Pick #182! ★ Book Blitz ★ THE GOLDEN SON by Shilpi Somaya Gowda! We're so excited to feature THE GOLDEN SON by Shilpi Somaya Gowda—out today—enjoy! Set in India and the US, THE GOLDEN SON is a tale of friendship, coming of age, and traditional values versus modern freedoms—in a compelling and timely exploration of the struggles and triumphs of modern immigrants. Tender and bittersweet, the story highlights the intense struggles of Anil and Leena—two people caught between a traditional culture that demands the best interests of the entire family be considered above all else—and an increasingly modern world in which each individual can voice their preferences and attempt to live their dreams. In THE GOLDEN SON, Shilpi Somaya Gowda has penned an unforgettable story of family, love, tradition, and identity, in which two childhood friends—a young doctor and a newly married bride—must balance the expectations of culture and family with the desires of their own hearts. 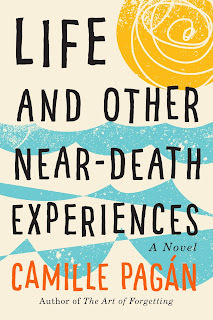 ★ Book Review ★ LIFE AND OTHER NEAR-DEATH EXPERIENCES by Camille Pagán! LIFE AND OTHER NEAR-DEATH EXPERIENCES! No one wants to get bad news from their doctor. Libby gets the very worst news: a diagnosis of a rare form of cancer. Libby is an intelligent, thirty-something woman, but she does not want to go through the same struggles as her late mother when the prognosis seems so bleak. When she gets home she tries to break the news gently to her husband, but he drops his own life-altering bombshell on her. She and her husband Tom were high school sweethearts and she thought they were true soulmates, but her marriage seems to have been different from what she always thought it was. Libby is totally stunned by all this horrible news, but truly leaves it all behind as she quits the job she has come to hate, sells enough things to finance her escape, and flies off to Puerto Rico. On a small plane that takes her to her final destination, she almost dies in a clash, but the pilot, Shiloh, saves the day. While he is waiting for his plane to be repaired, he visits Libby. After Libby shares the news with them that she has not even told her twin brother, Shiloh and her landlady, Milagros, help her to see that there may still be hope for her. The vivid descriptions of the tropics make me yearn to visit such a place of beauty and relaxation. Author Camille Pagan has written a novel that has both heart wrenching emotions and humor. The storyline flows smoothly and is well paced. There is an excellent blend of dialog and narrative. The book is also very thought provoking. We all know we will die someday, but what would you do if you were still in the prime of your life? 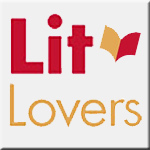 The author has a background in journalism which helps her shine as an excellent wordsmith. I will be looking forward to more of her novels in the future. 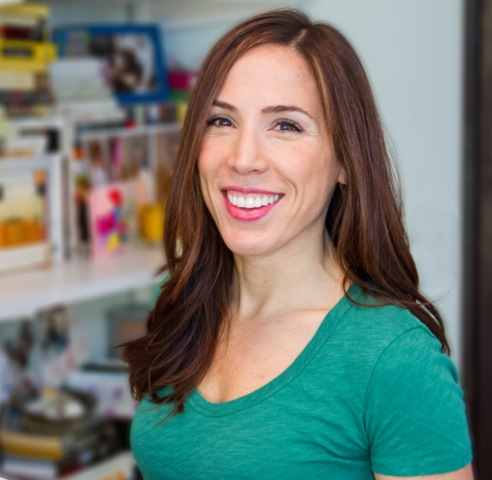 Camille Pagán's work has appeared in Fast Company, Forbes, Men's Health, O: The Oprah Magazine, Parade, Real Simple, and many others. When she's not at her computer, you'll find her with her nose in a book, running after her two kids and their nutty dog, or planning her next trip (most likely to Puerto Rico, where her husband was born and raised). A graduate of the University of Michigan, Pagán lives in Ann Arbor. This month's podcast discussion features Cove members Millenia and Roberta discussing the December 2015 pick, ANNIE FREEMAN'S FABULOUS TRAVELING FUNERAL by Kris Radish—Pick #181!